The Netherlands, September 2014 – HAI strengthens its position in the dairy market by implementing its software at the new plant of A-ware Food Group in The Netherlands. 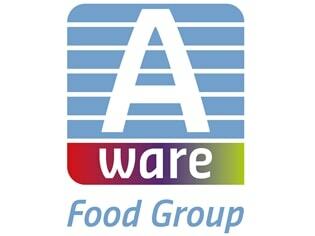 A-ware is now building the most modern dairy plant in the world with start-up planned for December 2014. The HAI*QPM software is used to unlock processing and quality data from all production units, including test results from the lab. The result is a real-time production information system. This information is used to continuously monitor the production process and quality compliance with quality and shift reports and SPC analyses for process improvement. The choice for HAI*QPM was a logical one, says Tjalling Osinga (site manager): “The software is proven technology in the dairy world, and HAI has strong partnerships with major suppliers in the dairy industry. The HAI*QPM software needs to collect information from various production units with a large number of connections. It is a major advantage for us to have one point of contact who takes full responsibility for these connections. A-Quality. With real-time monitoring and reporting of production and quality compliance nothing is left to chance. A-wareness (CSR – Corporate Social Responsibility). HAI*QPM data analysis enables A-ware to reduce waste volumes and shrink its carbon footprint. Ambition: The HAI*QPM data analysis functions facilitates A-ware’s quest to continuously improve cheese quality. A-ware Food Group (www.royal-aware.com) is a family business that specializes in the maturation, cutting, wrapping, storage, transportation, and sale of cheese and other food products in climate-controlled conditions. A-ware’s own cheese factory is scheduled to be operational at the end of 2014. HAI in The Netherlands (www.hai.nl) is the owner of the HAI*QPM Cloud software, available around the globe in the Fujitsu Cloud and locally supported in more than 20 countries worldwide. HAI*QPM is an Enterprise Manufacturing Intelligence (EMI) solution to help manufacturing companies accelerate operational performance initiatives, drive operating strategies and capture actionable insight in production & quality compliance. Using HAI*QPM, manufacturing teams can create real-time information on Production- & Quality Compliance and Traceability and drive corporate initiatives like Lean, Six Sigma, TPM, and other continuous improvement programs. HAI*QPM has been successsfully implemented at Pepsico, Cosun, Orkla Foods, Elopak, Intertaste, IFF, Yakult and Heinz.